Some days it’s easy to read Mother Nature and tell our mow crews to go home — this summer has been no exception. She’s hurling lightning bolts and throwing down rain resulting in waterlogged lawns across Southwest Florida. Since we don’t want to endanger our crews or damage lawns with deep mower ruts, we call it a day and send everyone home. For the most part, property managers and community residents understand, although a few think we’re all wet and should just put on some ponchos and struggle through. Nope, we’re not going to do that. Too much on the line, period. Other days it’s impossible to read her mood. She fools us and she fools the weatherman. Still, we study the radar and make our best educated guess. Most of the time, we’re spot-on with our decision to mow or not to mow. But even when we make the right decision, we sometimes get second-guessed — like earlier this month when the sun popped out after four straight days of heavy storms. The ground was saturated with more than 16 inches of water and debris was everywhere. One community still wanted us to ride our heavy mowers across their waterlogged lawns. We didn’t mow, of course — and they weren’t too happy about it. 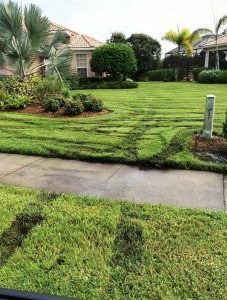 But after explaining how mowing when it’s too wet can damage the grass blades, mower blades and create unsightly ruts in the turf, they were more than happy to heed our advice. Moral of the story: If you’re working with a reputable landscape company, they will make the right decisions not just for the good of your community but also for their maintenance crews. 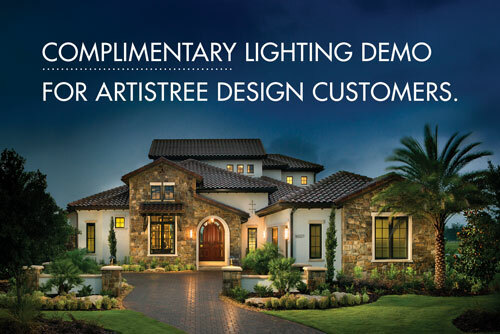 Choose a landscape partner like ArtisTree Landscape Maintenance & Design with talent and ethics, and you’ll get along just swimmingly. You’ll also have a beautiful, healthy landscape to show for it. Call us at 941.488.8897 to request a landscape maintenance quote. I would like to compliment three of your crew members -- Eduardo, Jose & Rogerio – on their fine work with my sprinkler system. They were so informative and so kind; they answered all my stupid questions. You are quite a company and provide good service! Sometimes we don’t take the time to thank others, and I just wanted to thank you. ARTISTREE TIP: FOR OUTDOOR ELEGANCE, CONSIDER A WEEPING BOTTLEBRUSH TREE. ARTISTREE TIP: TRY USING VINE AS A GROUNDCOVER.